With the services sector accounting for 60% of the GDP, the impact of GST on the service sector will run deep. The introduction of GST will have a definitive impact on services offered by the life insurance sector. The Indian economy has never before witnessed such streamlined and focused efforts, of the kind that is being seen off late for the implementation of the Goods and Service Tax (GST). The approach of the Government seems precise and the pace at which hurdles are cleared is worthy of admiration. In the month of September 2016 alone, the Government has ensured that the Constitution (One Hundred and Twenty-Second Amendment) Bill, 2014 received the assent of the President, laid the foundation stone for the GST Council, notified the provisions of the constitution amendment and even held two back to back meetings of the GST Council. This amendment was approved by most states in a short time which paved the way for its quick implementation. The speed with which the necessary approvals were put in place shows the overall seriousness of the government with regard to this path breaking initiative. This fast paced indirect tax reforms process seems to outpace our fast paced lives in order to ensure its implementation by April 1, 2017. GST is undisputedly the single largest indirect tax reform since independence. It has the ability to change India’s indirect taxation landscape thereby having a positive impact on the economy as a whole. Economists have deliberated at length the impact GST will have on India’s GDP. With the services sector accounting for 60% of the GDP, the impact of GST on the service sector will run deep. The introduction of GST will have a definitive impact on services offered by the life insurance sector. 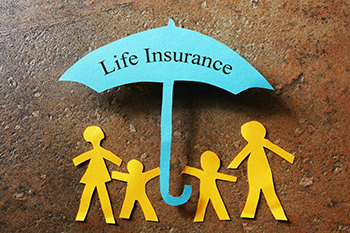 The potential of the life insurance sector in India is limitless, as it offers financial protection for the lifestage goals of the common man. However, the penetration of the life insurance is abysmally low and it requires a boost to enhance its coverage and reach. Presently, the rate of service tax on life insurance services ranges from 1.5% to 15% depending upon the nature of the policy, the burden of which is directly shouldered by the end customer. Under the GST regime, the GST Council would have the power to determine the GST rate. It is important to note that the Revenue Neutral Rate (RNR) report on the GST Law released by the Chief Economic Advisor in December 2015 has recommended the standard GST rate to be set at 18%. Assuming the standard rate of 18% is adopted by the GST Council, for the life insurance sector the rate of GST would be higher than the present (maximum) service tax rate of 15%. With the burden of indirect taxes being shouldered by the final consumer, it does not appear that the weight of indirect tax will ease under the GST and would only deter common man from seeking life cover resulting in lower levels of penetration. Seeking to levy GST on life insurance services would be in contrast to several countries including the EU, Africa, Australia, Malaysia and Singapore where life insurance is a social security benefit provided by the Government. Taking cues from these countries, it is important that the GST rate on life insurance services be zero rated or else taxed at a lower rate in order to ensure that the benefit of insurance is availed by each and every person. The government had exempted Pradhan Mantri Jeevan Jyoti insurance policies from applicability of serviced tax and there were encouraging results from the society in large. This shows that the Government recognizes the fact that life insurance policies go a long way to provide social security. A financial secure society will focus more on efforts towards progress rather than worrying about how to economically sustain themselves. Hence, by making Life Insurance, more expensive, we will be taking away a well established means to build a financially secure society. The lower rate should also apply to key input services such insurance auxiliary services and re-insurance services, else taxing the said services at the standard rate of 18% would result in an inverted duty structure. Further, there is a need to reduce the administrative burden of compliance. Life insurance policies are typically sourced by agents, who usually reside in the same State as that of the policyholder. However, the policy is generally underwritten and issued at the head office of the Life Insurance Company. Accordingly, it may be clarified that GST needs to be paid by the head office. This approach would ensure that the States do not lose out on the revenue. Additionally, the concept of inter branch supply should not be extended on the Life Insurance sector considering that so many activities are inter connected. It is also next to impossible to trace the overall economic value of these activities. It is further urged that the centralized assessment continues under IGST from the point of view of ease of doing business. GST on input services such as commission of agents and reinsurance services, amongst others, should be rendered to the account of the head office itself where the contract agreements with service suppliers reside. This would ensure a smooth credit chain and simplified compliance. It is urged that a prudent and efficacious mechanism be prescribed for the transfer of credit accumulated at branches or marketing offices to avoid unutilized credits and thus increase additional load of refund process. Given the strategic importance of the life insurance sector and the vast untapped market, one is hopeful that the Government will address the concerns of the industry including ensuring merit rate of GST on life insurance services. The author, Prashant Tripathy is Senior Director and Chief Financial Officer at Max Life Insurance.